Hall of Fame boxer Winky Wright was a two-time world champion at junior Middleweight and he nearly became the middleweight champion when he controversially had a draw with Jermain Taylor. It was a fight that most felt Wright should have got the decision in and it a was a fight that fans wanted to see a rematch for. In part 2 of my interview with Winky Wright, I get his thoughts on the Jermain Taylor fight and his views on why a rematch never happened. Winky also shares his views on GGG vs Canelo and talks about who he thinks wins the rematch. 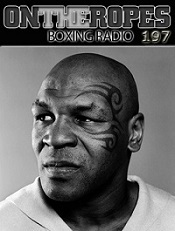 Additionally, Wright shares his thoughts on the upcoming Pacquiao vs. Matthysse fight and Wilder vs. Joshua. 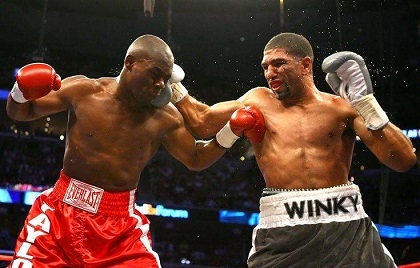 Here is what Winky Wright had to say. Robert Brown: How disappointing was your draw to Jermain Taylor? A lot of people felt that you won that fight. Winky Wright: It was very disappointing because if they had just given me the decision like I should have had, I would have been the first undisputed junior middleweight and middleweight champion at the same time. I remember I never lost my junior middleweight titles, I gave them up because I had no one to fight, everyone moved up or down. To make myself relevant, I had to go up to middleweight to try to dethrone the undisputed middleweight champion, which I did but they called it a draw. That stopped me from breaking the record or doing something that no one else had done. I just had to keep training to show the world that they can’t stop me. They tried to stop me one way, but look, I’m a first ballot Hall of Famer. The cream rises to the top. You get everything that you’re supposed to get. It may not happen when you want it but it will happen in time. 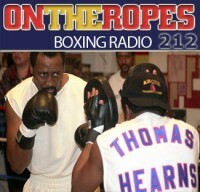 Robert Brown: Did the rematch ever come close to happening with Taylor? Winky Wright: No, they didn’t want a rematch. They tried to tell the fans that I was asking for too much money. It was never that, I never asked for too much money, I just wanted it to be fair. First of all, you had already fought me and cheated me, now you want me to come back and pay me less? I don’t know why they thought they were going to do that. We told them, “We’ll give you what you offered me then,” and they didn’t want to fight. They just didn’t want to fight. They tried to use the money to say why they didn’t take the fight. Robert Brown: They offered you less than what you got in the first fight? Winky Wright: They offered me less than what he got paid the first fight. He got paid more than me in the first fight, which I knew was going to happen but I had to take the fight. If I had said, “No I want the same thing you got” in the first fight, they would have never fought me. I said “I want to fight, I know I’m going to beat you, so you can take the most.” I wanted to do 50-50 or it wasn’t going to happen. Robert Brown: What did you think of the middleweight fight between Canelo Alvarez and Gennady Golovkin? Who do you think won and who do you think will win the rematch? Winky Wright: It was a good fight the first fight. I think Golovkin won. I think that Canelo is a smart boxer and he’s going to try to come back and capitalize. But I also think that was Golovkin’s first big mega fight and it took him a few rounds to get really on track, but once he did, he started pushing Canelo and doing what he normally does. If they fight again, somebody could get knocked out because both fighters are going to take chances now. Robert Brown: Who would you favor in that fight? Winky Wright: I would still have to favor Golovkin. I like both fighters, I think both fighters are tremendous fighters but if I had to put my money on someone, I would put it on ‘GGG’. Robert Brown: Manny Pacquiao will be fighting Lucas Matthysse next. Do you think Matthysse is a dangerous foe for the 39-year-old Pacquiao, especially after coming off of a loss to Jeff Horn? Winky Wright: First of all, I don’t think Manny Pacquiao should have lost to Jeff Horn, I think that was a bad decision. It is what it is. Anybody who has a good punch has a chance, that’s why they call it a puncher’s chance. If Pacquiao still has the good legs and can move in and out like he does, it’s going to be hard for anybody to beat him. If he stays there and just tries to catch Matthysse with a big punch, Matthysse has a good punch and could end it. Robert Brown: If Deontay Wilder and Anthony Joshua fight, who would you be favoring to win? Winky Wright: I think both fighters are good fighters, I just think Wilder is a little bit more athletic, a little bit more elusive. That right hand is dangerous, he just can’t depend on that right hand all the time, he’s got to get in there and mix it up. Joshua can mix it up and he’s a big boy with a good punch himself, but I definitely like Wilder. 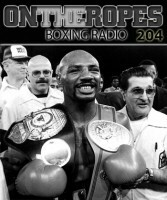 Robert Brown: You don’t see the fight going the distance do you? 11 Responses to "Winky Wright: “If Manny Pacquiao stays there and just tries to catch Matthysse with a big punch, Matthysse has a good punch and could end it!”"
Lucas is getting put to sleep!! Winky is a good fighter, his opinion means way more than mine or anyone posting on here. But while I see Wilder as quick, “elusive” means hard to hit. For Wilder to win, he needs other fighters to mix it up so he can land his lethal power. He sure proved he has a chin, and I bet he could improve on avoiding getting tagged. But he is not elusive. That is part of the reason I have always favored Joshua in this. Joshua tends to be a more traditional “guard up, counter punch, than attack” kind of fighter where Wilder is a “pressure, pressure, pressure, land power” type. I just think if Joshua can be patient he can have Wilder play into his strengths if Wilder can’t land clean. Wright maybe right about Wilder being more athletic but he’s clearly wrong about Wilder being more elusive, which is surprising coming from such a good defensive fighter like Wright. Fact is Wilder get’s hit a lot, we all know it. Szpilka had him off balance seconds into the first round with a right hand, Sconiers, Nicols dropped him, Molina who couldn’t lay a glove on Joshua wobbled Wilder, Duhaupas shut his eye and Washington was out boxing him. Also when they both sparred with Wlad is was Wilder who was dropped multiple times, but we never heard about Joshua getting dropped. So who’s the more elusive? I completely agree with Winky. Hes going to land that right hand in 12 rounds and when he does AJ just becomes another K/O statistic in Deontays column. many posters here will not know what to do. Last week when Wink picked GGG over Canelo, many of them had to dismiss Wink’s opinion and belittle him. 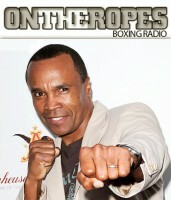 But now that he picks their guy over Joshua, suddenly he’s a brilliant analyst. Accurate assessment in my book ? 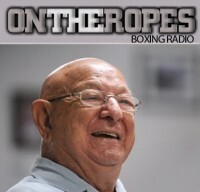 Boxingscene writers are incredibly lazy and have taken another site’s single interview and turned it into like 5 different “articles” on Winky’s statements from his radio show interview. Aging Pac is still dangerous for a fighter who constantly stalk his opponent. Hatton is the best example. Quit hating on winky. He pioneered this ish! Winky was definitely a live one. He was avoided like the plague and when he finally got his shot he took advantage of it and as a result he is a hall of famer.